Indulge in Norfolk Island 's most awarded luxury accommodation, Christian's of Bucks Point. This beautifully restored island home was originally built in 1914 by Cornelius Christian, a direct descendant of Fletcher Christian the bounty mutineer. 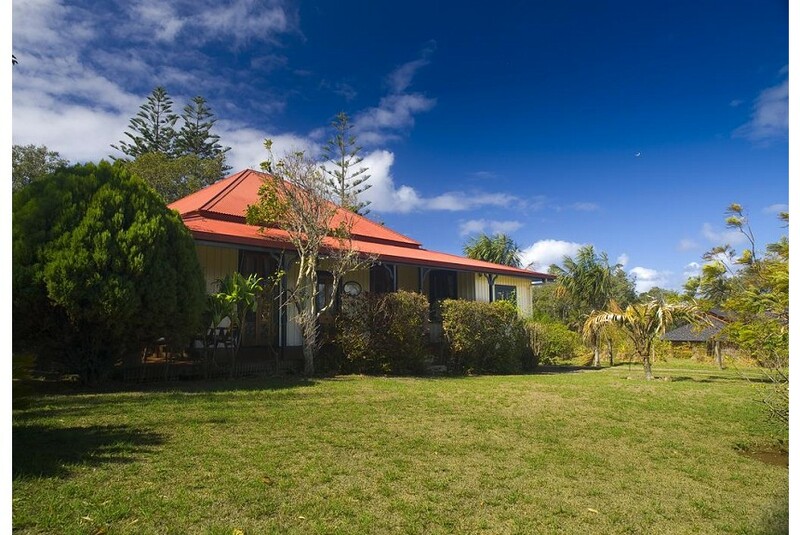 Situated on over two acres of land overlooking Ball Bay and Philip Island, this 4.5 star AAA rated home, constructed mainly of convict-milled Norfolk Pine, awaits you with it's warm and peaceful atmosphere, created over many years of island hospitality. This self-contained property will be exclusively yours, perfect for a romantic escape for two or ideal for a large family or corporate group of up to six. There are three private bedrooms (Queen with ensuite, king, and double) and two additional bathrooms, fully equipped country style kitchen/dining room, lounge room, sitting room and designated office for the working traveler.